It can be hard to face the fact that you need to invest time, energy, and money in a new website for your business. Keeping cost-savings in mind, it is easier and really tempting to stick with the website you already have with the thought of “well, it’s worked okay so far.” However, this view may be counterproductive and you may be turning away potential customers without even realizing it. A potential customer will make a snap judgment about your website, and therefore your business in just 7 seconds. That means you have only those 7 seconds to grab attention and impress. What does your website say about your business? Here are a few alarm bells you should be looking out for. If more than a few of these are familiar, then you may need to consider a website redesign. This is a huge problem. Just because you know where everything is doesn’t mean everyone else does. A significant sign that important information may be too hard to find on your website is receiving frequent questions from customers about where to find something. If in doubt, simply ask a friend or relative to check out your website and find bits of information (don’t help them). Watch them do it and you may be surprised at how differently people view or navigate your website. Most people are more likely to give up or try another company if they can’t easily find what they are looking for. Quick wins are having a menu visible on each page and making sure all your links work. A slow website is very frustrating for customers, especially when being viewed on a mobile device. In general, if each page takes longer than about 5 seconds to load then you probably need to make some adjustments. It’s possible that you may just need to run some updates or compress some files but in some cases a complete website redesign is required. Smartphones and tablets are so widely used now that having a website which doesn’t render nicely on these devices is the equivalent of tossing money in the trash. Not on is a website which is not responsive difficult for customers to navigate from a mobile device, but it also will not appear in mobile search engine results pages. You won’t even be in the race for business from a mobile device. You may need to make a major change like adding Ecommerce functionality (the ability to process transactions) or something more simple like a map. Whatever the change, you should check your current options before just adding the extra element to your existing website. The options available with your current design may not be the best ones and a redesign might actually work out both easier and sometimes cheaper. If your website is a bit old, you may also not have the newest range of technical components which are optimized for search engines—once again taking you out of the race for search engine results. If the design of your current site doesn’t match the way your brand is represented elsewhere, then it’s really important to change that and have a consistent visual message. 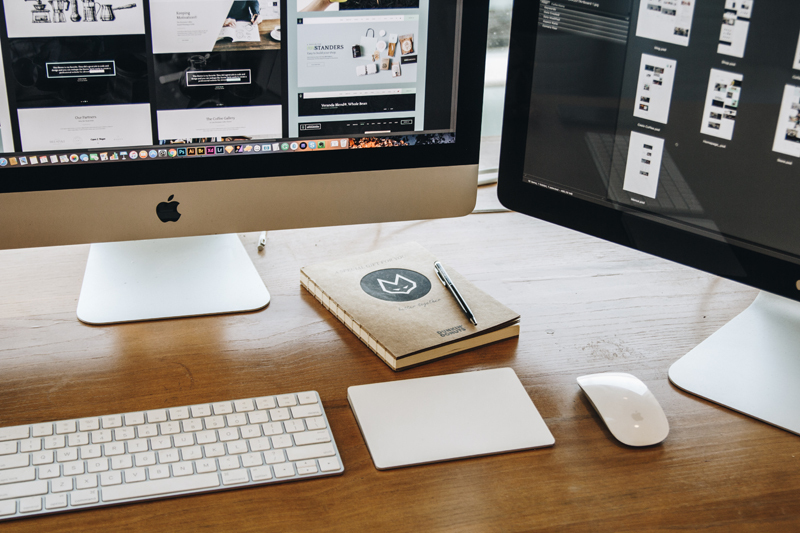 Whether you’ve change your logo, color scheme or font—it’s essential that this change is reflected across every way in which you interact with customers, especially your website. As your business grows, your target customer may potentially change as well. If you begin to target a different type of consumer, you may need to consider the voice or tone you are using in the text on your website and also the color scheme which might better appeal to them. While of course you shouldn’t simply copy everything the competition is doing, if they have a fabulous new website with a lot of innovative features and yours has any number of problems then you may lose out on some customers to their gain. The frequency at which a website should be refreshed does vary from industry to industry. If your website is regularly accessed by customers then a fresh, sleek design is of more importance. However, as a rule—what looked good 3 years ago is likely outdated now. …and finally there is evidence you shouldn’t ignore. If fewer visitors are accessing your site or you have a high bounce rate (visitors view then leave your website quickly), then it’s time to investigate. Your first step should be to check through the technical and visual clues we’ve mentioned. When your website is the first interaction a potential customer has with your brand, as it often is, a good first impression is imperative. Ultimately a great first impression is frequently the difference between a sale for you and a sale for your competitor. If you notice issues with your current design and you’re ready to move forward with a fresh new website or free consultation, contact us today and we’ll be more than happy to help. ©2017 ALL RIGHTS RESERVED. LIQUID AMBER MEDIA.